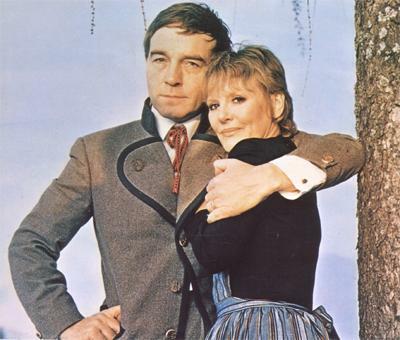 The 1981 West End Revival of Rodgers & Hammerstein's "The Sound of Music" which played at London's Apollo Victoria (directly opposite Victoria Station) was a tremendous success both personally and financially for all concerned. It launched Petula's career as a musical theater star and both the production and Petula received rave reviews. 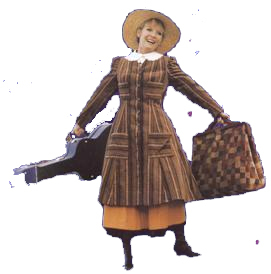 When the show was first announced, there was some initial skepticism about whether the forty-ish Petula could play the twentyish novice. However, when the show opened, more than a few critics were forced to eat their words. Publicity photos taken in Austria. "Petula Clark, an artist who has suffered under the spectre of ageism ever since she was announced for the role of Maria, overcomes it in a way that should make her critics feel ashamed of themselves and gives a spoken and sung performance that is the very essence of youthful high spirits laden with indecision, bringing her own individuality to the songs." Petula Clark, as the novice who wins the heart of the stern naval captian has a tomboyish charm which would appeal to a disciplinarian like von Trapp. . .She manages also to stand up to the fierce competition of kids whose every cuddly grimace is a heart-stealer. The experienced singer-actress has an elfin quality, a sense of mischief and bounce enough to make an effective central character. Her long moments on stage marshalling the moppets are her finest. Petula Clark climbed every mountain last night to rise above the memory of Julie Andrews and make "The Sound of Music" her own. At times it was like scaling the Jungfrau, but she planted her flag on top with such a defiant flourish that the audience rose to salute her. At fortysomething she may not have the freshness of a novice nun, but this bouncy, lovable Maria was as gutsy as the real-life von Trapp. SENTIMENTALITY triumped at the Apollo Victoria with the long-awaited first night of The Sound of Music. By the end almost everyone was in floods of happy tears. Petula Clark cried as she took her tumultuous ovations. 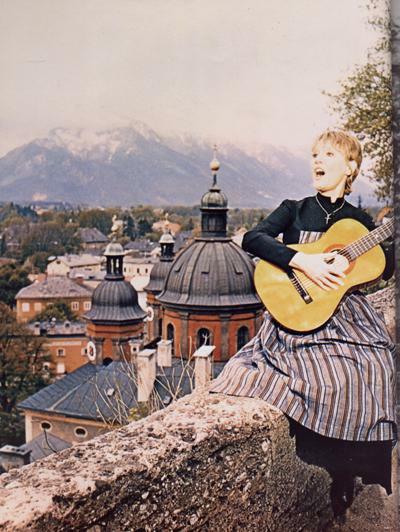 Baroness Maria von Trapp cried as she wateched the story of her life recreated yet again on the stage. And producer Ross Taylor can look foward to crying all the way to the bank for many, many months to come. 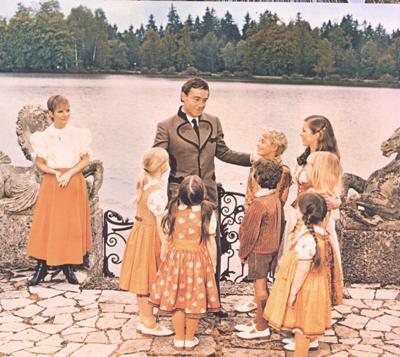 The Sound of Music has always been damned by critics for its sugary sentimentality and applauded to the echo by audiences who just cannot get enough of it. But this time even the critics--or most of them--appear to have been won over by the show's glossy production values and unashamed display of naked sentiment. Some of the quality papers are patronisingly snooty about the whole enterprise but the popular papers unanimously declare that the schmaltzy Rodgers and Hammerstein classic has lost none of its magic. 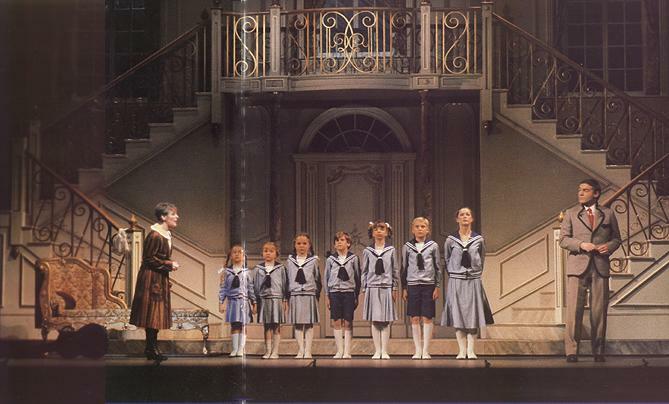 At the end of the show Baroness Maria von Trapp took to the stage with the rest of the cast and whole audience, dabbing tears from their eyes, joined in with Edelweiss. Earlier they had risen to their feet to applaud Petula Clark's spirited performance as Maria--her first-ever starring role in a musical--and greeted the real stealers of the show, the seven von Trapp children with cheers that were almost dangerously deafening. But it was clear from the start that the production could do no wrong. Every familiar nuimber was greeted with rapturous applause. After it was all over, Petula Clark sat in her dressing room surounded by her family, mountains of flowers and good luck telegrams and happily declaired: "It's been much, much more that I ever hoped it would be." The Baroness had told Miss Clark to play her younger self as a tomboy and Miss Clark did just that, much to the Baroness's approval. "It was the best Sound of Music I have ever seen. The people in the show lived up to how they were in real life. I was in tears at the end. It brings it all back to me. It doesn't matter if I never see it again. This is how I want to see The Sound of Music." 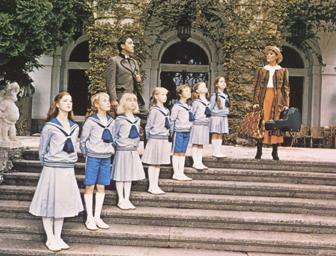 Once the show had closed, The Sound of Music boasted the highest attendance figure for a single week (October 26-31, 1981) of any British musical production in history. The 2600-seat theatre played to 101 percent of seating capacity.